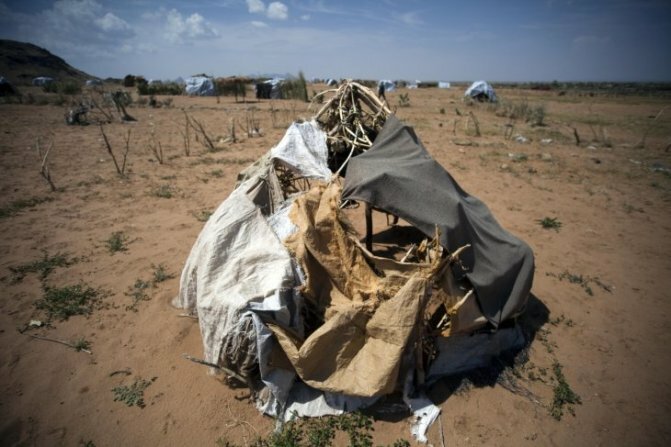 Climate & Conflict - The Climate & Conflict blog provides updates on events, publications, and activities of PRIO-based research projects on the relationship between environmental change and violent conflict. 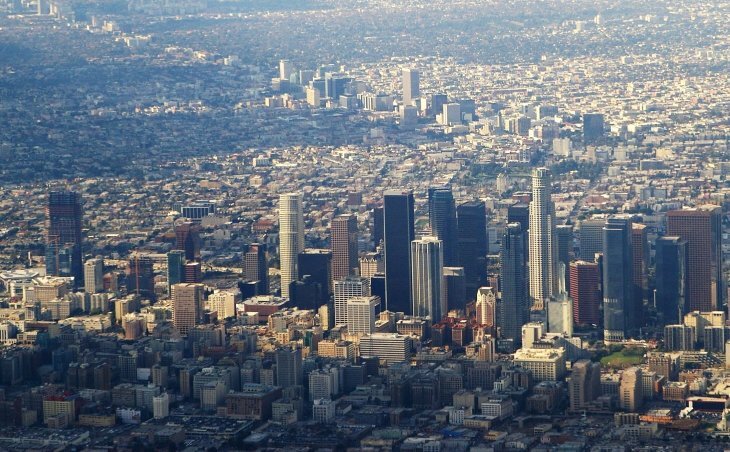 The City of Los Angeles- Photo: Ron Reiring / Flickr /CC BY 2.0. The sustainability of cities depends on the human security of new migrant populations. Human security, in this context, means the ability and real prospect of living a meaningful life. A shorthand for human security is ‘freedom from want and freedom from fear’. Many migrant populations globally face significant insecurity in their material wellbeing as well as social exclusion and exposure to crime, environmental hazards and other dimensions of precarity. Freedom from want and fear encapsulates, therefore, many of these aspects of the human security challenge in growing cities. Our hypothesis that sustainability of cities is related to the human security of migrants is based on two principal observations. First, it is the population dynamics of migration that drives urbanization processes in rapidly growing cities. Second, migrant populations are critical because they are potential agents of change, even in circumstances where they are economically and politically marginalised. Do cities grow because of migration? The large majority of people currently living in the most rapidly growing cities, ranging from Lagos to Dhaka to Manila, were not born there, but they moved there either as individuals or with their parents. These people are known as lifetime migrants: up to ninety percent of the population of some large metropolises are in effect in this category. Population estimates of growing mega-cities across Asia and Africa have very significant uncertainty. Estimates come from decadal censuses and nightlight estimates, but are notoriously unreliable. In effect this is because migrants move to cities at rates that are difficult to measure. For Dhaka in Bangladesh, for example, population growth rates suggest that perhaps 1000 extra people arrive in Dhaka every day that were not there the day before. 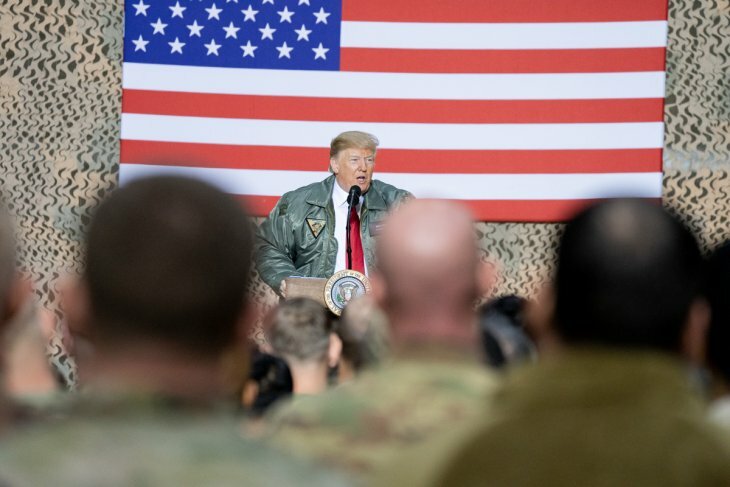 President Trump the First Lady Visit Troops in Iraq. Official White House Photo: Shealah Craighead / Flickr /Public Domain. New Internally Displaced People who run away from Fanga and Taraba to settle down in Tawilla, near UNAMID compound. Photo: Albert Gonzalez Farran / Flickr / CC BY-NC-ND 2.0. Does global warming really increase armed conflict? Recently, a new study joined a wave of research (e.g., here and here) that seeks to illustrate the effects of climate change on political violence. The most recent study, published in the journal Global Environmental Change and conducted by Guy J. Abel and colleagues, demonstrates that climate change increases migration, purportedly by increasing the likelihood of conflict. Mainstream media outlets picked up the findings, issuing news stories with startling headlines such as “Pentagon Fears Confirmed.” These stories surely generated clicks, given the public’s interest in climate change and climate change denial. However, the collective research findings of numerous scholars who have studied this topic suggest that such claims may be vastly overstated. Although water is an essential input for agriculture and industrial production, it is also scarce in many regions. When it crosses international borders via shared rivers, lakes and aquifers, it can become a source of conflict and contention. 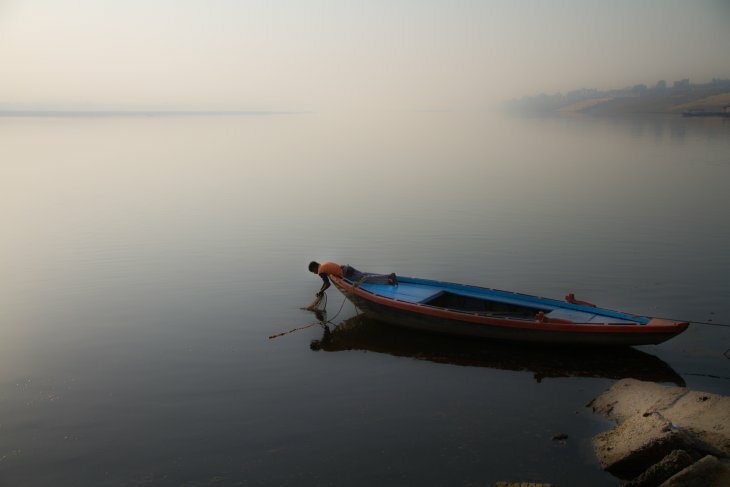 Yet while water can be a source of instability, especially in the face of climate change, it can also be a source or catalyst for cooperation and even peace. The importance of addressing water and other environmental issues in post-conflict settings has long been recognized. Recently, a growing number of studies and reports have highlighted the potential of transnational water cooperation to create stronger ties between states. Water is especially suitable to facilitate cooperation as it is vital for livelihoods and economic growth, allows for win-win interactions, often crosses political boundaries, and requires long-term cooperation. Such cooperation, in turn, might positively influence interstate relations. Tigris river. 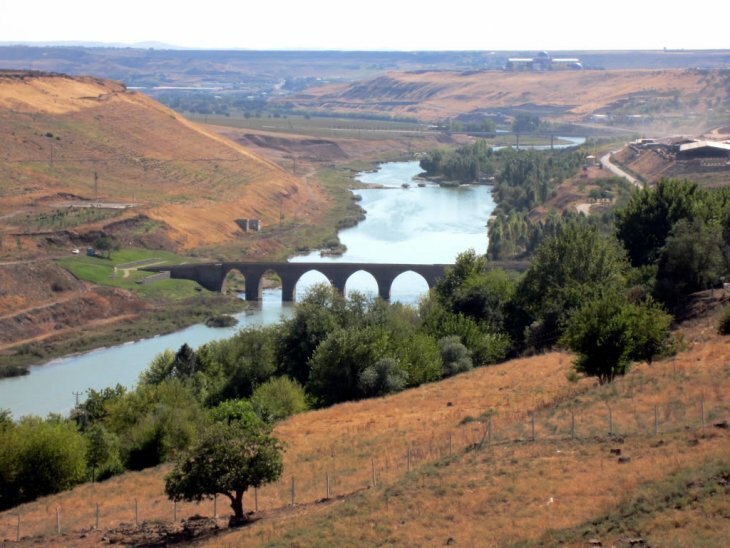 The Euphrates-Tigris Basin is shared between Turkey, Syria and Iraq, with Iran comprising parts of the Tigris basin. 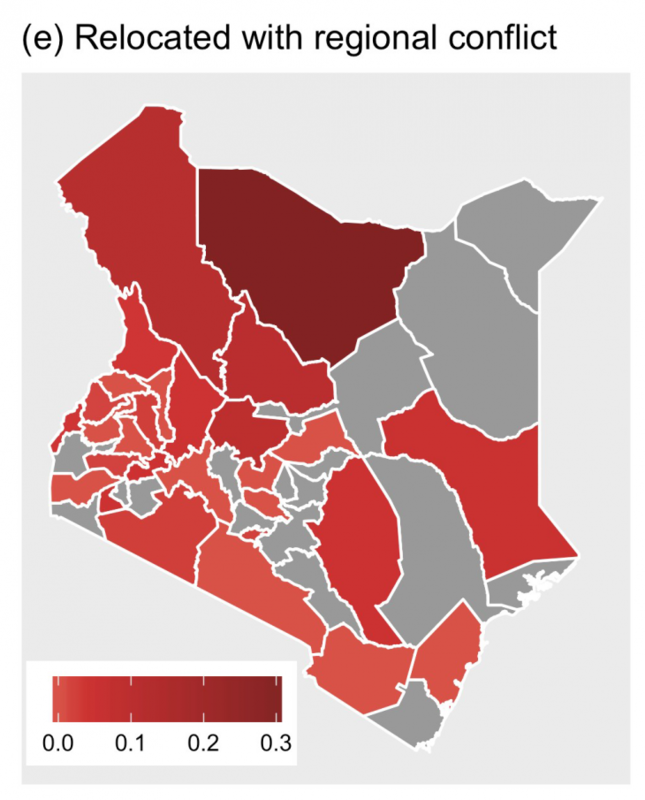 Since the 1960s there have been tensions between the co-riparian states. Photo: David Stanley. 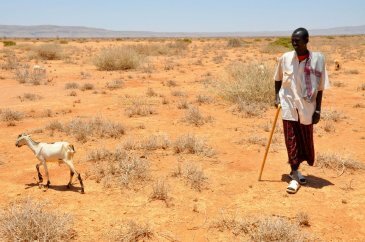 On the occasion of the 2018 Nobel Prize in Economic Sciences, which was awarded to William Nordhaus for his work on climate change economics (alongside Paul Romer for his contribution to macroeconomics), we highlight some essential findings of that research and then link them to research on climate change and human security (conflict). From this we derive some policy implications that can be drawn when linking results from integrated assessment models (climate change economics) with what we know from analyses of the climate-economy-conflict nexus. Presently, the 24th Convention of the Parties (COP) to the UN Framework Convention on Climate Change (UNFCCC) is occurring in Katowice, Poland and the negotiators are pressed to complete the negotiations on the implementation of the Paris Agreement. While fewer world leaders and substantially less fanfare is accompanying this meeting than the 2015 COP in Paris, success at this meeting is considered critical to setting a basis for the emission reductions needed to avoid the dangerous climate change. Underpinning these expectations is the new report from the Intergovernmental Panel on Climate Change (IPCC)’s Special Report ‘Global Warming of 1.5°C’. Added during the final stages of the Paris Agreement, the parties agreed to hold ‘the increase of global average temperature to well below 2°C above pre-industrial levels and to pursue efforts to limit the temperature increase to 1.5°C above pre-industrial levels, recognizing that this would significantly reduce the risks and impacts of climate change’. Importantly, this report suggests that attaining the the 1.5°C end-of-century temperature target will avert substantial damages for agricultural production, sea-level change, and catastrophic “tipping points” in the climate system. Further, while it will be challenging, there is still time – on the order of a decade – to set the world on a path to meet a 1.5°C temperature target. With its population of more than 190 million, Nigeria’s fate is central to the success of West Africa. Armed opposition groups like Boko Haram have plagued the north of the country for years — spilling over and destabilizing neighboring countries — and violence involving Fulani militias in the Middle Belt reached an all-time high this year. Nigeria’s government has struggled to contain these conflicts and address the needs of its population. At the same time, the country faces extensive climate-related pressures, from chronic aridity and flooding in the north to rainfall anomalies in the middle of the country to heavy flooding and wildfires in the densely populated south. Human migration driven by weather variability and environmental change (see, e.g., here, here, and here) has been identified as a possible link between global warming and violent conflict (see, e.g., here, here, and here). Despite academic and public policy discussions about these and similar topics, the relationship between climate change and regional migration within developing countries remains understudied in relation to the risk of violent conflict (although there are notable exceptions). In addition to tensions among communities related to cultural or religious traditions – in their own right a potential source of hostilities – plausible sources of animosity between host and arrival communities include housing and job market pressures, changing electoral demographics, and access to public goods (e.g. primary schools and other services). Will climate adaptation move us toward peace? Climate adaptation has been praised for its potential for contributing to peace. It is highlighted for the potential to remake systems and equip the world to better cope with the impacts of climate change. However, these remain hopeful claims until rigorous research is done on how this might take place and what type of peace we might expect to result from the implementation of climate adaptation. Policymakers and practitioners are increasingly integrating the environment and climate change in peacebuilding work. For example, the UN Environment Programme has stressed the need to put the environment at the center of prevention and resolution of natural resource conflicts. Researchers too have begun to link climate action with peace. Some researchers have gone as far to suggest that failure to account for climate in peace activities could make them not only short-term, but even harmful. The scholarly debate on the security implications of climate change has been highly animated over the past ten years. Although most agree that a powerful and general direct relationship is not likely, an overarching consensus on more subtle connections has not yet been reached. However, recent research directions suggest that scholars are now moving towards a more comprehensive understanding of potential indirect pathways linking climate variability and conflict risk. 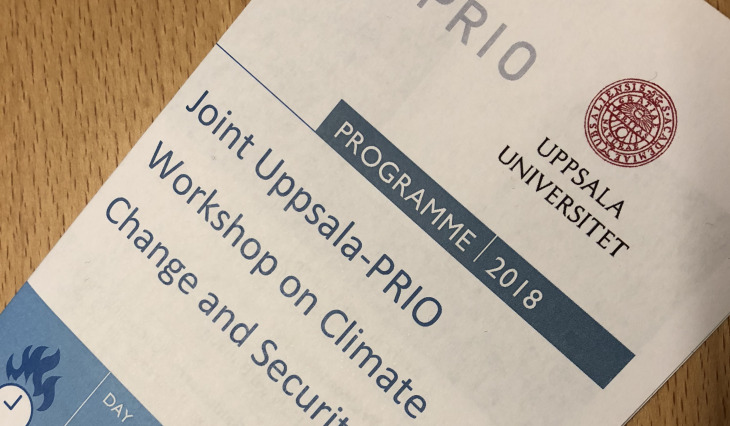 During the last week of September, I attended a two-day workshop on climate change and security at Uppsala University to discuss current and emerging trends in climate conflict research. The workshop, co-hosted by the Department of Peace and Conflict Research at Uppsala University and PRIO, involved a group of seventeen international academics and experts from various academic disciplines, such as political science, economics, human geography, and hydrology, who presented their ongoing projects and discussed the state of knowledge and promising ways forward. The workshop program also included a public lecture by Professor W. Neil Adger on sustainable urbanisation and migration processes.